Elfwood Children’s Library is hosting A World of Winnie-The-Pooh! 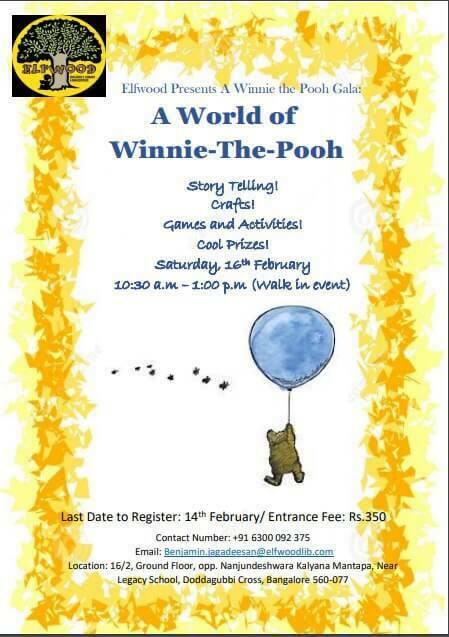 This Winnie the Pooh Gala will begin with story telling and games, followed by art and craft activities. There will also be activity stalls where you can win some fun prizes! For registration get in touch with Benjamin at +91-6300092375. Last date of registration -14th February 2019.